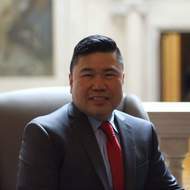 Chiwai Chow is a Senior Corporate Actions Analyst at Commonwealth Financial Network, which is one of the nation's largest private financial service firms. He has over a decade of financial industry experience. His interests in intellectual research and sharing financial knowledge have landed him roles in working with graduate level finance courses at Harvard University Summer School and Harvard University Extension School. Chiwai has helped taught the following courses on-line and/or at Harvard Campus: Business Analysis & Valuation, Corporate Finance, Managerial Accounting, and Sustainability Finance & Investment.